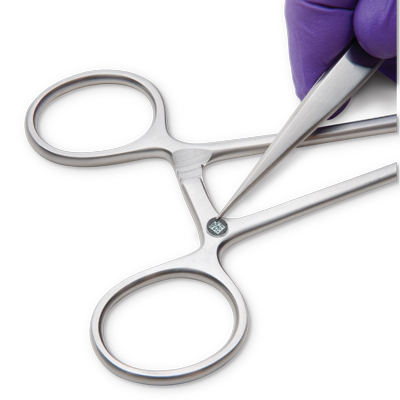 KeyDot® is a highly effective and affordable solution for tracking individual surgical instruments. KeyDot is an easy and economical way to get the most from an asset tracking system and to maximize your return on investment. The 2D data matrix barcode label is easily applied to an instrument’s surface and has been tested for sterilization efficacy. Conveniently incorporated into many instrument tracking software applications available today.